The game of wait-and-see is a dangerous one if you have discomfort or pain in your mouth that keeps coming back. Even if it’s only occasionally, it might indicate a condition that could develop into much larger problems. In addition, neglecting problems in your mouth can not only lead to bigger mouth problems, but may also exacerbate or even contribute to the development of overall negative health conditions such as heart disease or diabetes. The economy has forced many of us to cut back in a lot of areas, but it’s important to understand that getting prompt attention for a dental issue is actually the most economic way to handle the situation. 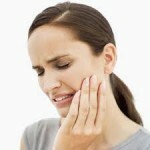 Dental conditions rarely get better on their own, and often get much worse. When the problem escalates, usually the cost of fixing it does, too. It simply doesn’t pay to wait and see. But cost isn’t the only reason that people avoid making a dental appointment. Sometimes when the pain or discomfort starts, you may hope that it’ll go away on its own because the thought of going to the dentist fills you with anxiety. Again, this is a situation where the longer you wait, the worse it’s likely to get. If you’re simply dreading the appointment and apprehension is overriding your logical realization that you need dental care, you can ask us about our sedation dentistry, which for three decades has helped even the most anxious patients have a relaxed and comfortable dental experience. As with anywhere else in the body, pain is an indicator that something is wrong, and you should listen to what your body is telling you. Ignoring it and hoping it’ll go away on its own is never advisable, and the sooner you can get the problem looked at by the dentist, the better. We can set up an appointment for you at our Fairfax, VA dental office so that you can get small issues taken care of right away, before they turn into larger, more complicated ones.